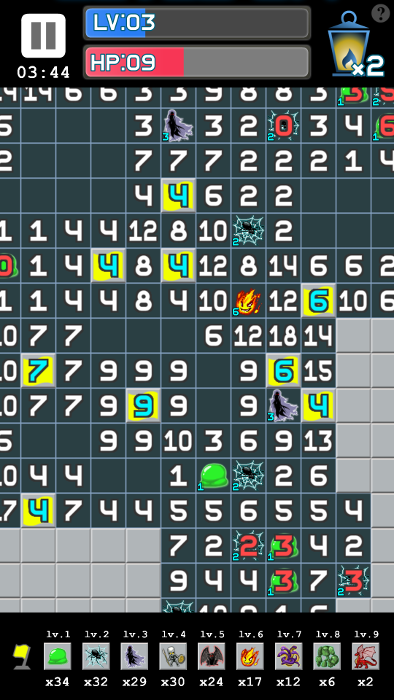 Dungeon Sweeper adds depth and complexity to Minesweeper gameplay, making it easier and more accessible to learn, but just as challenging to master. The scoring system rewards perfect play, while HP and Leveling mechanics help you learn and allow for mistakes. 100% FREE - No ads, no in-app purchases. 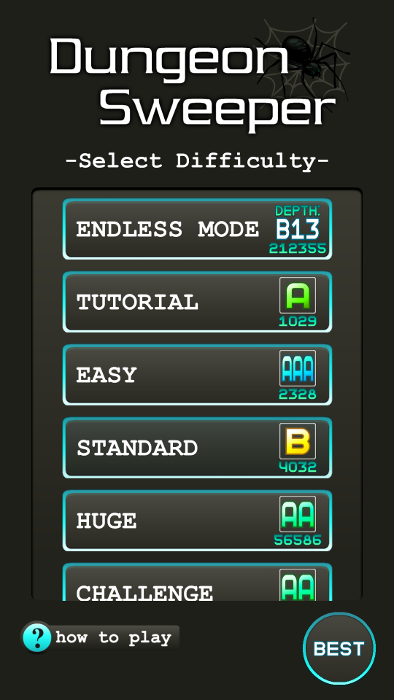 3 Game Modes, including an Endless dungeon mode and a Perfect mode for fans of the original Minesweeper. Made in Unity and playable on Android and iOS phones and mobile devices.